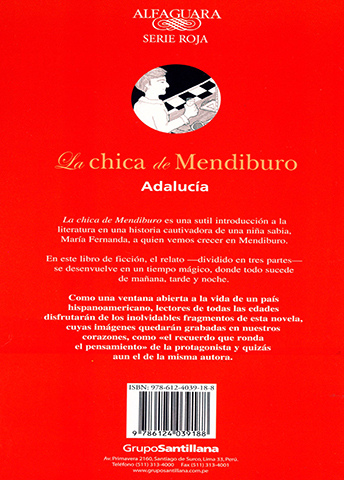 Grupo Santillana has just published a new edition of La chica de Mendiburo in Latin America. La lectura me atrapa. 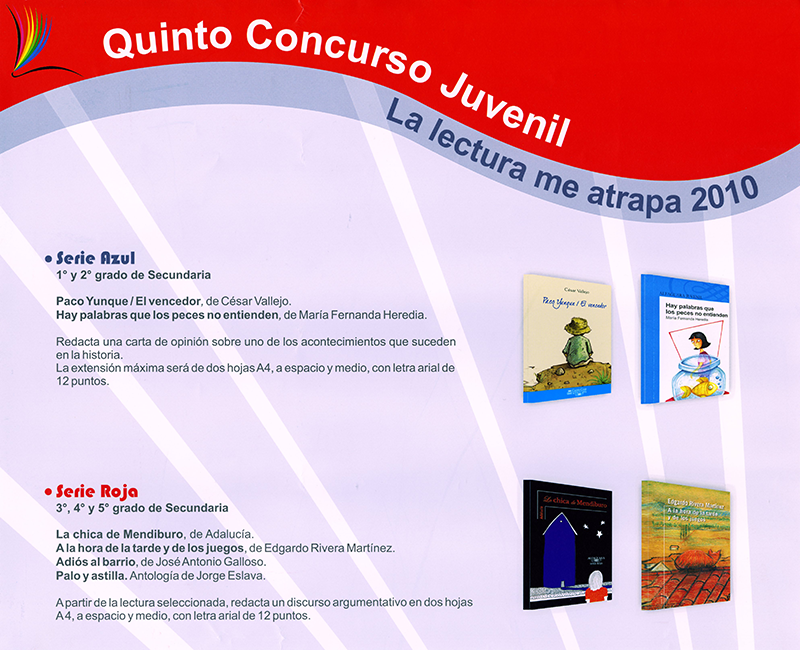 La chica is one of the books selected for this contest. Pulse aquí para leer el escrito ganador con La chica de Mendiburo. 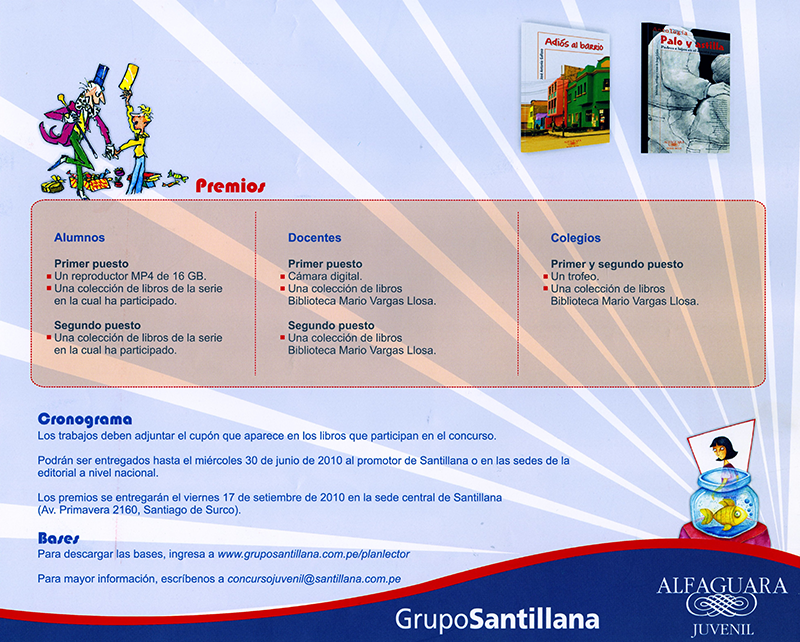 Click to see the poster for the contest. © Cholita Prints and Publishing Company. All rights reserved.